On a wet evening in November 2015, the Royal College of Physicians Edinburgh, was transported to a much warmer climate. 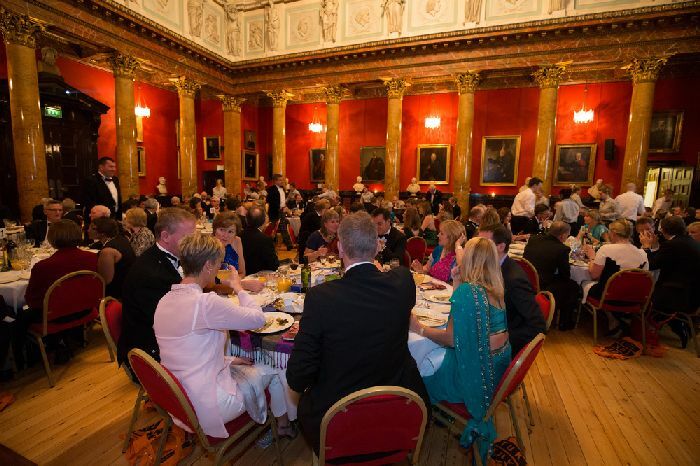 The EMMS International Duncan Dinner saw 150 guests enjoy Indian themed food and entertainment. Special speeches were heard from Dr Philip Finny from Duncan Hospital in Raxual, Bihar, India and Professor Gordon Mackay, long-time supporter of the hospital. Stories were shared of the poverty of the area, the challenges faced, the inspiring staff team and the amazing impact that we can have in the lives of others. The event was in aid of Duncan Hospitals’ Mums and Babies Project, which aims to save the lives of babies from easily preventable and treatable conditions such as jaundice. In total £35,000 was raised on the evening, which will be matched pound for pound by Professor and Mrs MacKay, making an amazing £70,000 for child mothers and their babies in one of the poorest areas of the world.